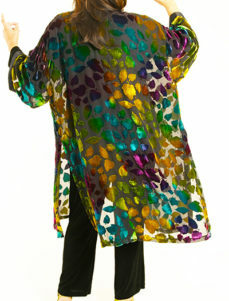 Plus Size Special Occasion Kimono Coat Sari Silk Purple Gold Silver: Fully lined, one-of-a-kind Calf Length Kimono, created in our Studio. 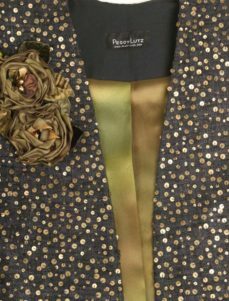 Created by collaging different elements from a fabulous vintage Indian Silk Sari embroidered all over with real silver bullion. Such fabrics are rare now, difficult and costly to source.f Front band and cuffs are matching antique hand-sequined trim from Kathmandu, Nepal. This Magical Jacket is our size L (26/28), but also works well for M (22/24). 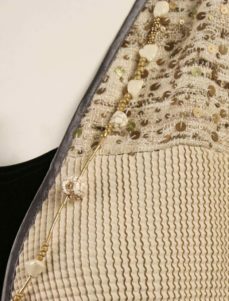 It has an extra-wide front band which can be worn folded back to make the jacket smaller, or unfolded to expand the size. Consult with us for any questions. 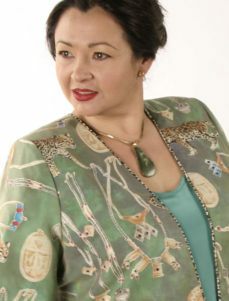 Be the first to review “Plus Size Special Occasion Kimono Coat Sari Silk Purple Gold Silver” Click here to cancel reply.